The Northwest Synod of Wisconsin used a grant to purchase resources from Kal Rissman and invited him to speak to clergy and lay leaders about how to help people dealing with addiction. As churches across America face declining attendance and questions about their sustainability, ministry leaders have sought new ways to connect with their communities—particularly in rural areas where congregations are often aging and geographically dispersed. The Northwest Synod of Wisconsin took a step last year to help make those connections. The synod applied for and received a state grant to provide training materials and education for congregations, communities, families and individuals struggling with addiction. The partnership began with Aimee Wollman Nesseth, an ELCA chaplain who serves as program coordinator for the Northwest Wisconsin Healthcare Emergency Readiness Coalition. She knew grants were available for addiction education in affected communities of northwest Wisconsin. The area, long a national hotbed for alcoholism, has been plagued by rural meth labs and hit hard by the burgeoning opioid epidemic. Seeing a unique opportunity for the church and the government to work together and reach vulnerable people, Nesseth contacted the Northwest Synod of Wisconsin. Greg Kaufmann, an assistant to the synod bishop, was excited to hear from Nesseth. For years he had watched the addiction problem worsen in the synod’s territory. “I’ve lived in rural northwestern Wisconsin for 38 years,” he said. “I never thought our problem would be this bad. I was sure it was a big-city problem. We’ve long been the No. 1 alcohol-consuming state in the country, but I had no idea that we would become the epicenter for both meth and the opioid crisis. Kaufmann is no stranger to the ravages of addiction. His brother has been in recovery from alcohol addiction for more than 10 years and an acquaintance recently attended a treatment center where all except one person were dealing with opioid addiction. He also serves as volunteer director of Select Learning, a separately incorporated ELCA ministry that provides continuing education resources for clergy and laity. While doing research, Kauffman came across Kal Rissman. An ELCA pastor and a native of rural southeast Minnesota, Rissman has spent 40 years working in chaplaincy and ministry to people coping with addiction, first at a hospital in North Dakota and then in Indiana, where he serves a congregation today. 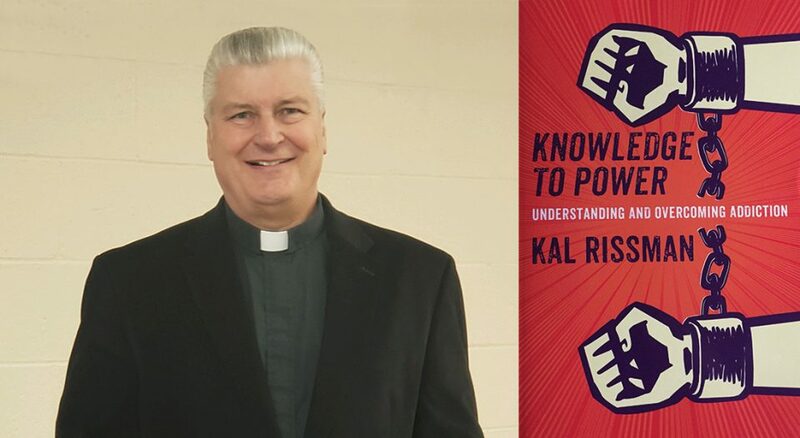 Rissman has written a book, Knowledge to Power: Understanding and Overcoming Addiction (Outskirts Press, 2018) and created DVD resources to help educate clergy, church leaders and community members about addiction and how churches and family members can help but not enable people. Using the grant money, the synod purchased resources from Rissman and Select Learning that are geared toward families, friends and fellow church members of people in active addiction. “That’s mostly who churches will come into contact with—the families,” Rissman said. The second: Congregations and their leaders need to be careful not to feed co-dependent or enabling behavior. Rissman said some volunteers may be overly active at church to avoid dealing with addicted family members at home. “Church members and pastors are very forgiving too quickly,” he said. “They offer absolution without repentance.” Congregations should be careful not to shame families or addicts, he cautioned, but should also avoid enabling active addiction by providing money or excuses. Rissman told a story of a man named Kenny (last name withheld) whom he met in his addiction work in a hospital in Jamestown, N.D. A farmer who milked 120 cows every day, Kenny had been dealing with alcohol addiction for at least 30 years when Rissman met him. Ultimately, Kenny got into Alcoholics Anonymous, found a sponsor and became sober. He asked Rissman, who was part-time pastor of a local congregation, if his coming into the church might cause the roof to cave in. Stories like this give Rissman and others hope that education and training in addiction ministry can lead to more recovery and healing for communities across America, beginning in programs like the one at the Northwest Synod of Wisconsin. With the state grant, the synod brought Rissman to Wisconsin in February to lead forums for clergy and lay leaders. His work incorporates healing from grief and loss, both of which often go hand in hand with addiction. Kaufmann said grants like the one the synod received are also available in other states. He suggested that interested pastors and congregational leaders contact the Lutheran office of public policy for their state or directly contact the state agency that deals with this issue. “They’re eager to find partners,” he said.